A little over a year ago, my parents gave our four-year-old Levi a subscription to Ladybug magazine. In fact, we loved it so much that we made sure our subscription was renewed. My favorite thing is there is always an activity in the back. I like to read it by myself and reading it together. 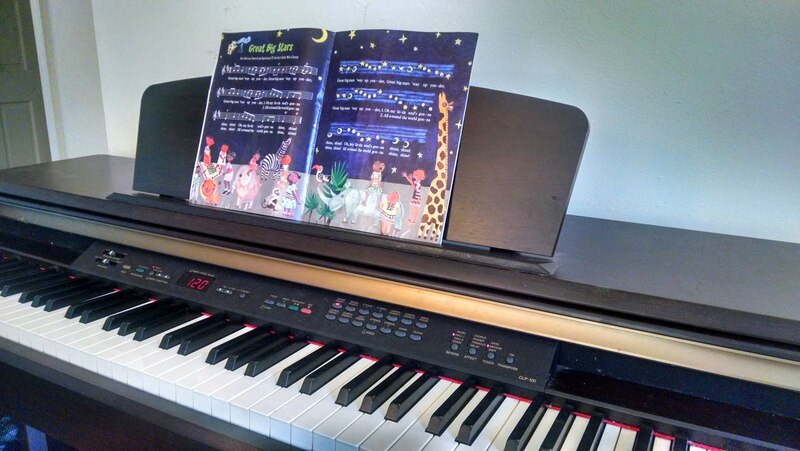 My favorite has to be the music: I love picking out the tunes on my piano. They are classic sounding, but not songs I've heard before. A quick glance at the issues that are pictured above reveals that two songs have contemporary composers listed, and four are traditional songs from different backgrounds: African American Spiritual, Scottish, and North American. Ok I have heard a couple of these before; Go In And Out The Window rings a bell. You can see that in this issue they have the music on one side and simplified music on the other. There are a number of recurring features in the magazine, besides music. Each issue begins with a hidden picture page and an easy-to-read story about Max and Kate, two friends who play together. Each issue has poetry, and some long-form stories, and a feature with three little bugs that also pop into the margins of other stories and comment. And the activities that Levi loves are worth a mention. Once was a little mini book he made, one was a windmill he cut and taped. There was a cute mix and match paper doll, and a wild west valentine he gave to a friend. The activities are on a fold out page, designed to be cut out from the magazine. Most of them require a few other materials (scissors, glue, a straw) but we've always had these on hand. 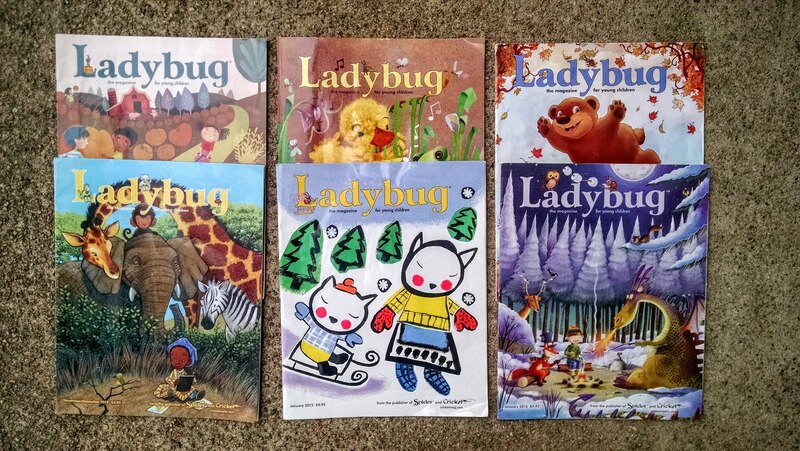 Ladybug Magazine sometimes comes on the perfect day and saves us from boredom. I love that. We read it together and it's just what we needed. Other times, it comes on a crazy day and we don't get around to looking at it until a few days later. Either way, we thoroughly enjoy it and I save all my back issues. I'll put an affiliate link here so that you can check it out some more and shop for it. If you make purchases through my links I get a small commission, so thanks! I also reviewed the Babybug magazine, which is from the same publishers, for ages 0-4.